Find out everything you need to know about sending and receiving money transfers online, from making the payments and applying the rates, to receiving the funds quickly and reliably. If you’ve ever needed to send money to someone, or worse, if you’ve ever needed money sent to you, you know what a hassle it can be. Figuring out how to send the money, finding a location to send the money from, understanding the fees and charges that get mysteriously tacked onto your bill, and worst of all, tracking down a convenient (or better yet, accessible) location to receive the money can prove to be the most daunting of tasks imaginable. In some cases, it’s faster, cheaper, and easier to hop on a plane and hand the money over to your recipient in person, instead! Before you get your travel agent on the phone, there is a better solution. Money transfer services offer people a fast, convenient, and economical way to send money all over the world. How do money transfers work, what fees can you expect to pay, and when will the money arrive are all questions you’ll get answers to in the sections below. In the end, you’ll finally have a means for sending money to the people you love when they need it. And, it won’t cost you any airfare. 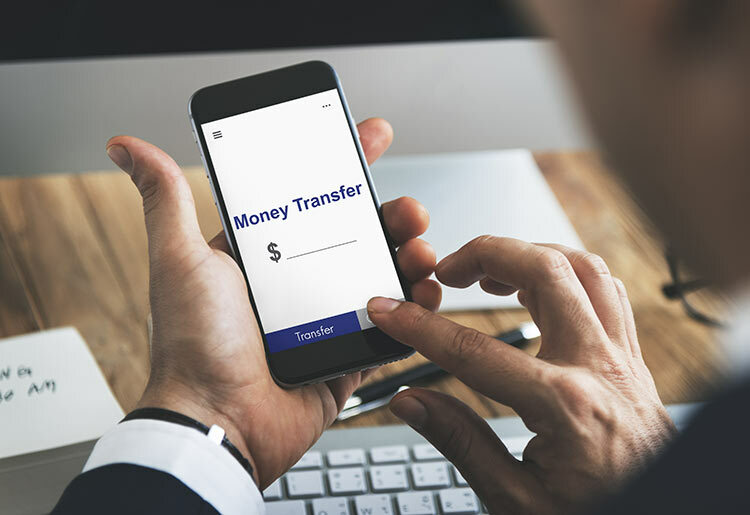 Money transfer services offer consumers different ways to transfer money, and each method comes with various fees and procedures. The broad term given to these transactions is a wire transfer which refers to any type of electronic transfer of money, regardless of destination, payment method, or issuer, though you may hear it referred to as a money transfer as well. Depending on the method of choice, various rates will apply. On the receiving end, the recipient can choose to pick up the money transfer in cash on either the same day or a different day, have it directly deposited into their bank account, or have the money sent to their credit card. Obviously, the faster you want to receive the money, the more expensive the transfer will be. Online money transfers are convenient because you can go on your computer or smartphone, tap a few buttons, and the money is transferred without you having to go anywhere or do practically anything. Online rates are slightly higher than in-store money transfers. The most exciting part of using a money transfer service is that it will generally cost you up to 50% less than other methods. This is because fair companies will charge you the daily exchange rate instead of adding markups to their fees like most other types of money transfer options do. That’s a huge savings and a good reason to opt for this method. If you are sending the money out of country, the fees will be altered according to the service's terms. It's important to keep in mind that when you send money via your credit card, the issuer will count it as a cash advance. This means the transaction will incur whatever fees and interest rates a cash advance incurs from that credit card issuer. All of these compounded charges make using a credit card the least popular method for making money transfers. With debit card transfers, you avoid these unnecessary credit card charges. How long it takes for the transfer to go through depends on where you are sending the money to and from, what form of money you are sending, and how much you’re willing to pay. Instant transfers that let the recipient pick up cash immediately cost the most, but they’re the fastest. Bank-to-bank transfers can take up to a week depending on the service and their specific terms. Locations are a key factor when choosing a money transfer service. The more locations a service has, the easier it will be for you to send the money and receive it on the other end. There is a long list of countries that are available for you to send money to and from, and which countries make the list depends on the money transfer service you choose. Of course, there are some commonly accepted countries across the board. For example, every service you find will let you send money to and from the US, UK, and countries throughout Europe. More far-flung locations will have fewer services that allow money transfers, but you can still find a service location close by in most cases. Some services, like Western Union, actually make sending money to developing countries easier on you by making transfers to these countries faster or cheaper than standard transfers. Some companies, like TransferWise, have dozens of locations around the globe including Australia, Brazil, and Canada. Still other companies, like MoneyGram, have more than 350,000 branches spread over 200 countries globally. You want to look for a money transfer service that has branches in as many locations around the world as possible, so both the sender and the recipient are likely to find a location right near them, making the task of transferring money a cinch. Western Union even has branches situated within convenient stores and local groceries for added convenience. While this is not always fool-proof, reading online reviews of money transfer companies can give you a better idea of what type of company you are investigating. Read comments left by real users to get a feel for how the company treats its customers, browse online reviews to see what industry experts have to say about the service, and notice what type of feedback the company is receiving. A reliable money transfer service will have its terms clearly stated on the website. They’ll be transparent and straightforward with their fee structure, additional charges, and rates. The best money transfer services will not only take your money and send it to where it needs to go. Rather, they’ll offer consumers convenient tools, services, and educational material to help make the process even easier. Currencies Direct, for example, has currency charts, a daily rate checker, and the ability to set up alerts for specific currencies. Services like this show you that the company is not just out to make a quick buck, but there to help you as well. Reliable companies will have obvious trust symbols on their websites. Look for write-ups and recommendations from major publications, accolades they may have earned, and security feature symbols on the site. OFX is a great option for seeing this in practice. It has recommendations from CNBC, BBC, Forbes, Money, the Business News Network, and more, TrustPilot reviews, ASX listed, Deloitte approved, Better Business Bureau accreditation, and uses Norton Symantec for secure transactions. Using a money transfer service has never been easier, thanks to modern technology. Now that you know how it works, you can send money to people who need it faster, easier, and cheaper than ever.